Commercial rust removal products are usually the most effective way to remove surface iron oxide from metal and clothes. Rust. Whether it's on patio furniture or on your clothes, it's a corrosive blight that needs to be removed - stat! 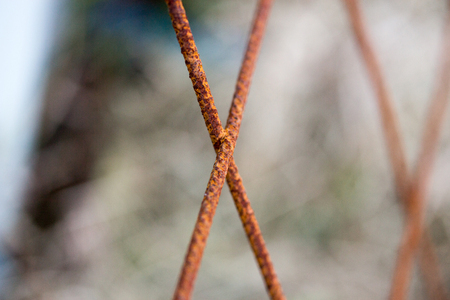 Technically, rust is iron oxide and forms when an object containing iron is exposed to oxygen and water, like moisture in the air. In humid climates and near the ocean, rust is likely to form on tools, door hinges, and even metal clasps and fittings. It is notoriously tough to remove, which is why commercial rust removers - formulated with strong acid-containing products - are usually your best bet. With rust stains on clothes, the biggest issue is whether the stained garment is colorfast. You can always test a spot on a hidden part of the stained item if you want to be sure the rust remover is safe to use. Here are our top product picks for rust removers.